Wonderful read, thank you Andrew! An enlightening read. Thanks Andrew for digging into this. Many seem to believe that politics in China has become more important than economics, so very useful in that context. Excellent analysis, backed up by the Chinese love – and commitment to – continuity. Xi’s claim is that the Party has nothing to hide, nothing to be ashamed of, counters the entire Western narrative. One wonders. did his Harvard-grad daughter have play a part in this position? Doubtful. She is just lucky the deep pockets of Xi, like those of Bo Xilai for his son, enabled her to attend. 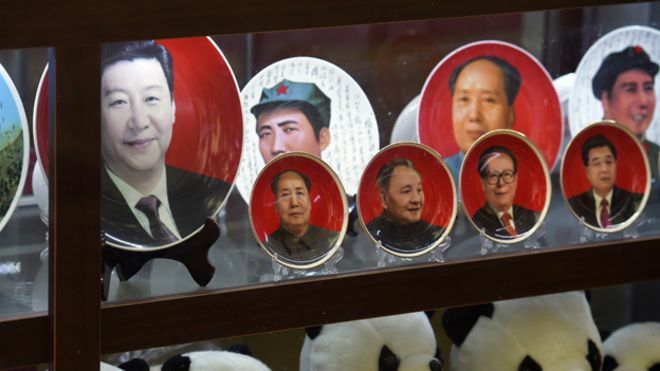 XI has emphasized his belief that Mao saved him and his family from the Red Guards. Quite a perverse logic, but there it is. Excellent article, and bound to be ignored by the vast majority of Western press. The assessment that the Cultural Revolution was a severe mistake 严重错误 was mentioned by Deng, it is also integral in the Scientific Development Doctrine 科学发展观 yet I still frequently read articles claiming the Chinese government is unwilling to revisit the period of the Cultural Revolution. What these critics don’t understand is, that there is a difference in China between agreeing something was a mistake including a condemnation (which China has done) and trying to assign the blame onto individual persons. The latter may appeal to Western sense of individualism as well as rule of law, but it comes at the price of reopening old wounds and once again accusing individual people unjustly. How to determine who did what intentionally in the Mao era, and who did it out of fear? It was mass hysteria, where ultimately everyone is driven, perhaps including Mao himself. Assigning the blame individually will at best give some sense of revenge. It will not heal wounds. It’s not about attacking individuals, it’s about teaching the next generation not to make the same mistake again. The US doesn’t blame one individual for the slaughter of native Americans or slavery, but these events are integral parts of every history curriculum nationwide. The Chinese just bury the cultural revolution under the rug, and today’s youth have only anecdotal oral histories to guide them. Or they have to hop over the Great Firewall to learn the truth. Where are the museum’s to commemorate those lost? Nearly every other country builds museums to reflect on previous disasters, but not China.